“At least 26 times from 1997 to 2013, the General Assembly has rejected attempts to change Virginia law regarding hiring practices for sexual orientation and gender identity in state government. McAuliffe took an Oath to uphold the Virginia Constitution, not an Oath to ignore it.” Marshall said. McAuliffe issued Executive Order No. 1 on Saturday. The order states that Virginia will not “discriminate” in hiring on the basis of sexual orientation or gender identity. He fails to document a single case of the alleged discrimination he seeks to prevent, past or present. “In fact based on surveys, the average homosexual couple appears to be better off financially than heterosexual married couples,” Marshall noted. “Under Gov. McAuliffe’s order will potential employees now have to state on employment forms if they are heterosexual, homosexual, or bisexual? Will the governor require state employees to attend attitude restructuring classes with forced public discussions among workers about their views or make everyone attend Gay Pride days? Can conscience objectors absent themselves from homosexual work time propaganda classes?” Marshall asked. “Gov. McAuliffe’s ignorance of or his outright refusal to respect the limits of power the people of Virginia placed on him in our Constitution is troubling. His task is to carry out public policy, he is not empowered to create it. This order is likely to create an environment which will make it very difficult to fire anyone who claims to be homosexual,” Marshall noted. 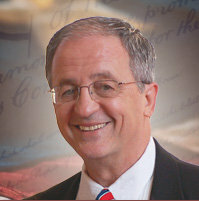 Marshall was the House author of the voter approved one-man, one-woman Marshall-Newman constitution Marriage Amendment approved by voters in 2006.